Manhatten Grill nested underneath the Marriot hotel by the magnificent riverside of Canary Wharf. They serve up USDA prime streaks or dry age Scottish cuts no bull or gimmicks just great tasting succulent meat. The dining area can seat up to 40 people and you can watch them cook your food by the open kitchen. 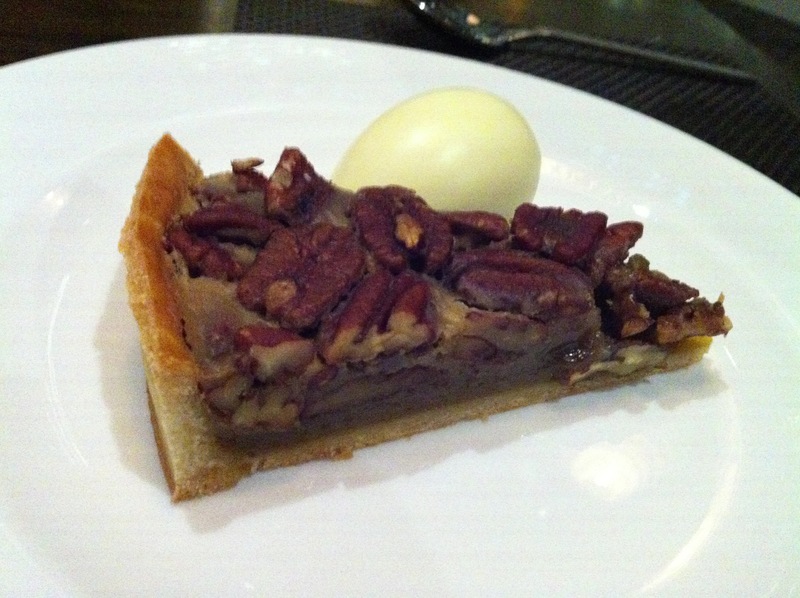 I was taken here for the special set menu of either 2 courses for £15 or 3-course meal for £18. Overlooking the riverside of West India Quay and Canary Wharf the scenery was set for a cosy intimate candlelit dinner. 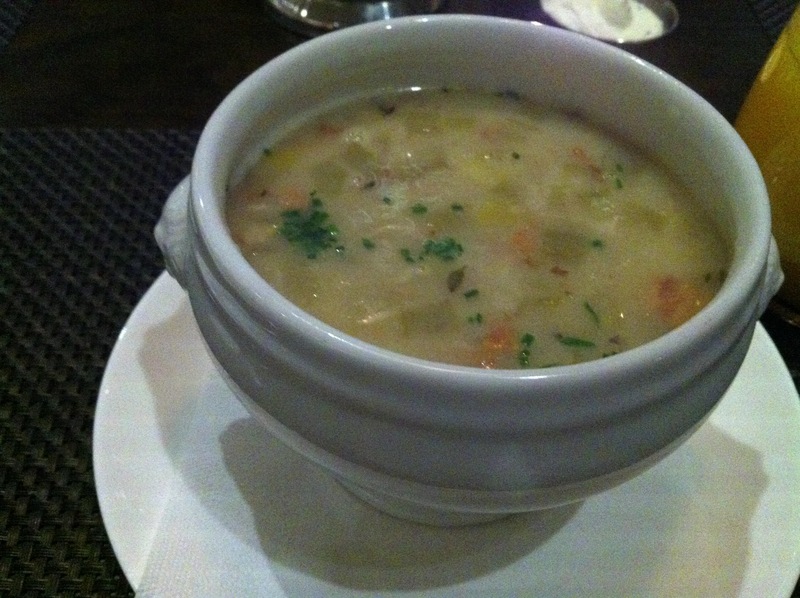 We both had clam chowder for starters the portion was very generous and filled me up straight away. 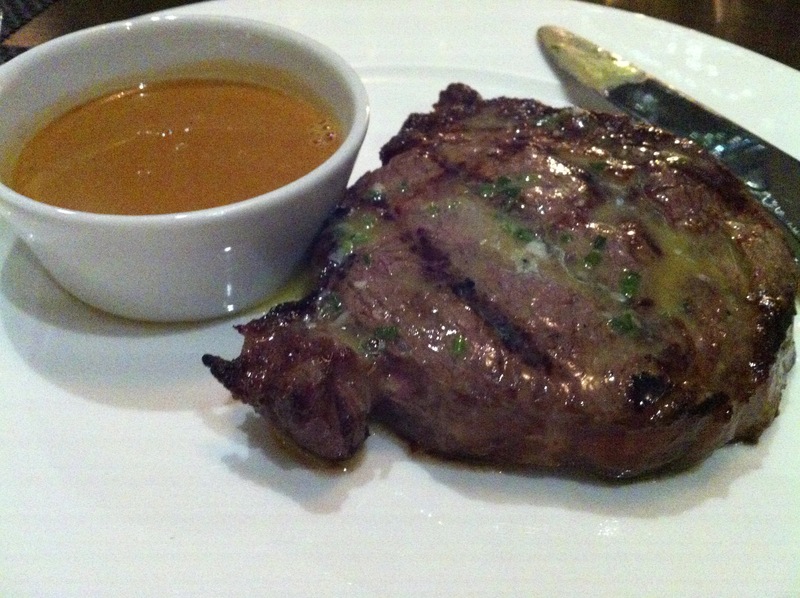 The USDA rib eye steak was tender and flavoursome, juicy with a buttery flavour the added garlic butter melted on top. Gave it a kick, I smothered the extra sauce all over the glossy chunk of meat. The chunky chips cooked to perfection crispy on the outside fluffy inside. 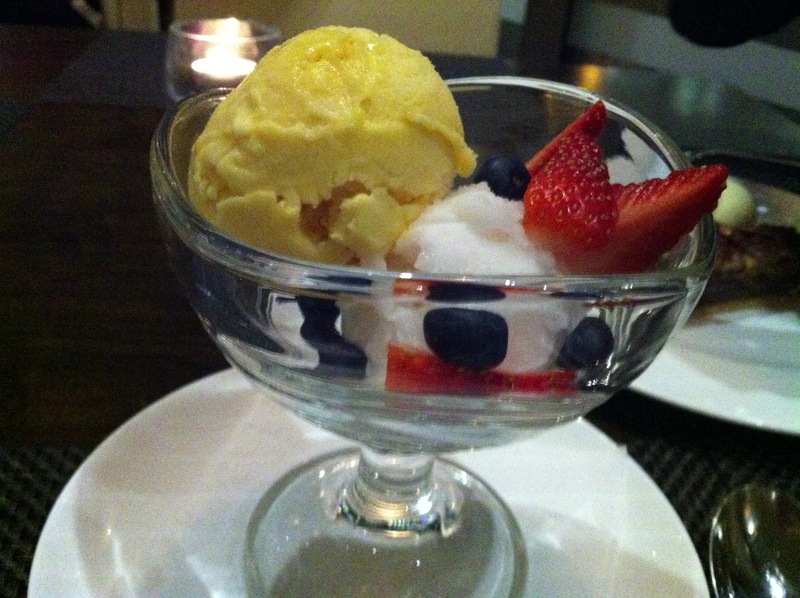 As I found the starter and main to fill my belly up, I wanted to opt for a lighter dessert and choose the selection of sorbets. 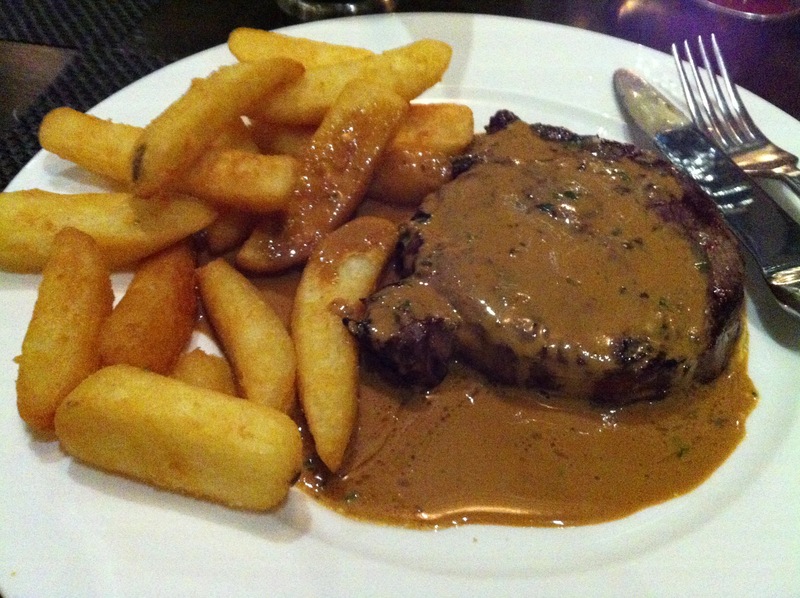 The steaks were simply scrumptious and have to be one of the favourites I had in London. The bill came up to around £24 each person a real steal for yummy steaks and 3-course meal.